Nicole is a certified SCRUM Master, multi-sport athlete, and the Managing Director at Tearado Tech. I had the pleasure of meeting her at the WELCOA Summit in August 2018. Her mantra is busy ≠ productive. She has a knack for inspiring teams of varied personalities & cultures to engage in new productive and healthy practices. 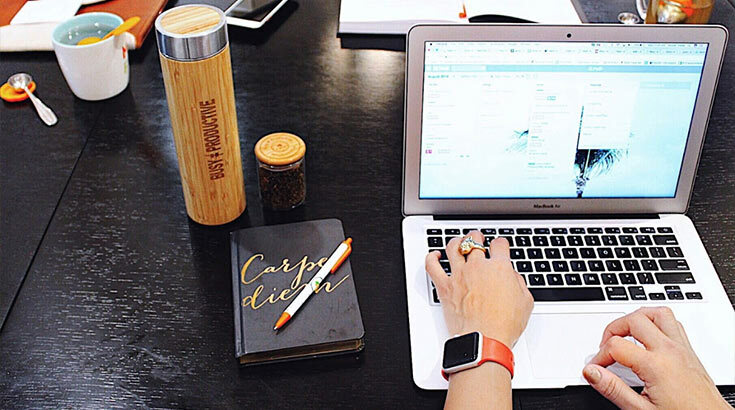 Nicole leads Tearado Tech, where they are inciting healthier, more productive living for busy people with the first Smart Tea Flask and the sustainable teaware collection. In this episode Nicole shares actionable gems of wisdom that you will want to adopt, & she has an important challenge for us all as well! And yes: She’ll be telling you why you need to stiff-arm the malarkey! 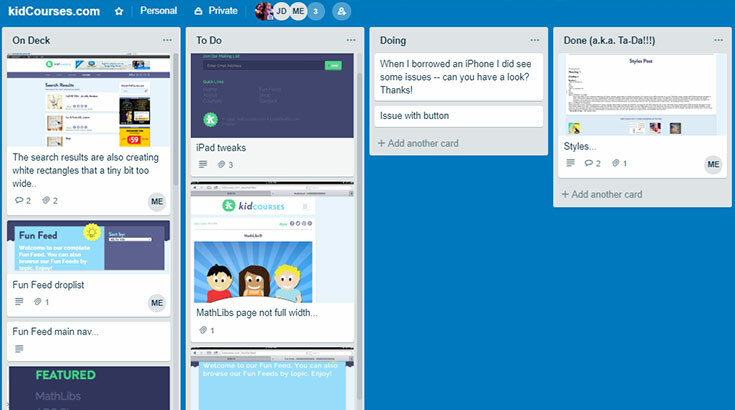 Pro tip, use Trello: Set up three columns: To Do, Doing, and Done. Drag and drop your tasks into the appropriate column and invite friends if you want. Check out the free version here. Agile teams are self-organized, efficient, and happy teams! In being self-organized, the team takes ownership of their work, they hold each other accountable and call out road blocks. By working in short sprints, there are constant milestones and feedback. The team can constantly feel accomplished. Hence this practice breeds happy people! What’s a time block and how do I rock it? Pick 1 to 2 of your most pressing, most mentally taxing tasks and block off time to work on these… and only these. Don’t let everybody else’s to-do’s for you get in your way and throw a wrench in your day. Time blocking is KEY. In fact, Nicole’s challenge to all of us is to time block 20 min a day. Pick the time when you find you are most “in flow.” Block off these 20 minutes for yourself at home and at work and focus on your most important items during these blocks. Yas!! I love this advice so much that I named the episode after it. When I asked Nicole for tips on how to set boundaries so you can appropriately focus on your sprint work, she offered up the football metaphor of stiff-arming. Physical time blocks on your calendar are one way to set boundaries. Getting more comfortable with telling people you are “sprinting” is another. It may take an education process to let them know how to get their work for you into one of your sprints. Delicately let your employer know that you only have so much of that “prime” cognitive bandwidth and that you are using yours wisely as an act of service to the company. Nicole has periods of detox every day and for 24h on Saturdays. Hey, my friend Katia doesn’t make plans on Sundays because that’s her day to wear pajamas all day. Set those boundaries! Nicole also allows for VIP’s to get the 24-7 access they need to her; for example, her daughter’s school can always get through. I love this too. Nicole says “I RCA my entire life.” RCA is Root Cause Analysis. In our Victorious Me course we used it to as one tool to uncover some of the things we have on autopilot (e.g. habits). Instead of focusing on blame, she wants to get to the root cause of issues. She highly recommends reading the book QBQ: The Question Behind the Question by John G. Miller‎. Tap into strengths instead of focusing on weaknesses. While at Rackspace, they gave Nicole the Gallup Strength’s Finder test, and allowed her and other team members to grow their strengths. Nicole recommends using your strengths and either delegating the rest or putting those other things on a wish list. When you are working in an Agile framework, you are setting yourself up to make more money. Working this way also helps your intellectual wellness, because you are able to compartmentalize the right info and actionable items and give them all of your focus, rather than being scattered and losing precious time and wasting brain power. By gaining efficiencies in this way, you set yourself to make more dough. (Yes, that was a Lost reference.) For Nicole, the ritual of tea drinking was a constant in the chaos. It actually spurred the idea for her whole company, Teardo! What is it? Imagine if Keurig, Siri, and TeaMaster had a baby! Watch more about that below. Fun fact: Nicole is looking for TESTERS!! This is why Nicole’s advice to change behavior incrementally is key. Lucky for us, Agile is all about incremental change! Nicole suggests salsa dancing as a pre-cursor to anything creative, such as meal-prepping. Here’s a link to her favorite salsa song, and this is her favorite salsa playlist! Nicole loves listening to Joyce Meyer, because she does so much good even though so much bad has happened to her. Nicole says, of Joyce: “she didn’t let the bitterness in the world tarnish her shine.” She also likes to reflect on her past actions and remind herself of the times she took the high road. Taking the low road is toxic to ourselves. Of all the ideas I have mulling around for this Faith in Humanity Cheat Sheet, it never crossed my mind to add myself to the list. But that’s genius: Inspire your present and future self with your past and present self’s humanity. So til next time folks, stiff-arm the malarkey, don’t didn’t let the bitterness in the world tarnish your shine, and may you bask in the warmth of those who love you, and live in the eternal now.